My latest client WIP is a bluework version of "Winter Wonderland" by Crabapple Hill Designs. This is such a gorgeous pattern that makes a beautiful quilt. My client did an absolutely beautiful job on this quilt. She incorporated some Fairy Frost fabric into the blocks and borders. It looks sooooo pretty. It really carries out the winter wonderland theme. I believe it's her first quilt too!! I'll be honest...I have been petrified to quilt this quilt. I kept thinking to myself, "do I stitch on the embroidery?, do I stitch around the embroidery?, what if accidentally get some stitches on the embroidery while I'm trying to stitch around it??? (LOL)...what if??" Then I received some good advice from my friend Jenny and went for it! Another weekend just flew by! I am happy to report that I finally made it to the grocery store. My family is happy too. :-) I think the birds, who seemed to be chirping extra loud because the feeders were empty are happy as well. Feeders and fridge are full. I am also happy to report that Becky's quilt is done and off the frame! I used Hobbs 80/20 batting and So Fine thread on the top with Isacord in the bobbin. The design is all freehand. I think it compliments the quilt nicely. I always love the back of quilts almost as much the front. I hope Becky loves her quilt as much as I do! I'm off to quilt like I'm quilting in a marathon. I already have another client quilt on the frame. I'm still here, but I was semi-cut off from civilization for a while... yet again. We lost power when some severe weather rolled through Wednesday. That was super frustrating because A. I needed to go grocery shopping, B. I can't machine quilt and C. No Internet. I worked at the shop Wednesday and Scott called me as soon as I got out of work to tell me we had lost power. Instead of grocery shopping, I went to the phone store. On the bright side, I finally got my new phone!! The iPhone and I love it!! When we did finally get power back, the Internet was still out. Thursday we had someone come by the house and he thought the problem may have been some equipment outside that was damaged. He replaced the damaged parts. Hopefully, it works because the Internet seems to finally be working again. I do currently have a work in progress going. I have a beautiful quilt on Annie from a client from the guild I belong to. I love all the fabrics. She used a jelly roll and some yardage. The quilt has a very romantic cottage feel. Becky, my client wanted an allover quilt pattern that wasn't heavy quilting. Heavy quilting??? I asked her what she meant because that can have different meanings to different people. She meant heavy, tight stippling. That's what I thought she meant, but it's good to clarify. :-) I thought that meandering leaf design I was doodling would be a good fit. I think it's looking very pretty so far. I'll be taking if off the frame tonight. Today, I will be going to the Friendship Strip Exchange Sit and Sew at the shop and then I HAVE to buy groceries!! Tonight we have a big night of watching baseball planned. The Detroit Tigers are playing the Arizona Dianmondbacks in Detroit. The starting pitcher tonight for Arizona is a young man from our very small town!!! He went to high school with my sister. Josh was called up to the majors in April. It's very exciting for everyone here!! News crews were in town yesterday to show where Josh grew up. There is always a huge sense of pride when you grow up in a small town. Josh will be pitching against the Tiger's Ace pitcher tonight. What a game it's going to be!! Normally, we are big Tigers fans, but tonight we are Josh Collmenter fans! Good Luck, Josh!!! Note: The other day Mary Lou Weidman sent me a very heartfelt email telling me that she had recently had a terrible time with her blog. She could no longer make any updates to it and eventually had to completely start over with a completely new blog. How awful! Make sure you stop by Mary Lou's new blog, Mary Lou and Whimsy Too and say "hi!" I've also listed her new blog on my sidebar. Hope everyone had a great weekend. Mine went by so fast! I feel like it was just Friday! Anyone else feel like that? I delivered Melissa's quilt that I posted Friday. She LOVED it!! Much to my happiness and relief. Honestly, I love that quilt too. :-) The thing is even before I have one quilt finished, I'm thinking about the next quilt I'm going to quilt. Usually I have it out for inspiration. 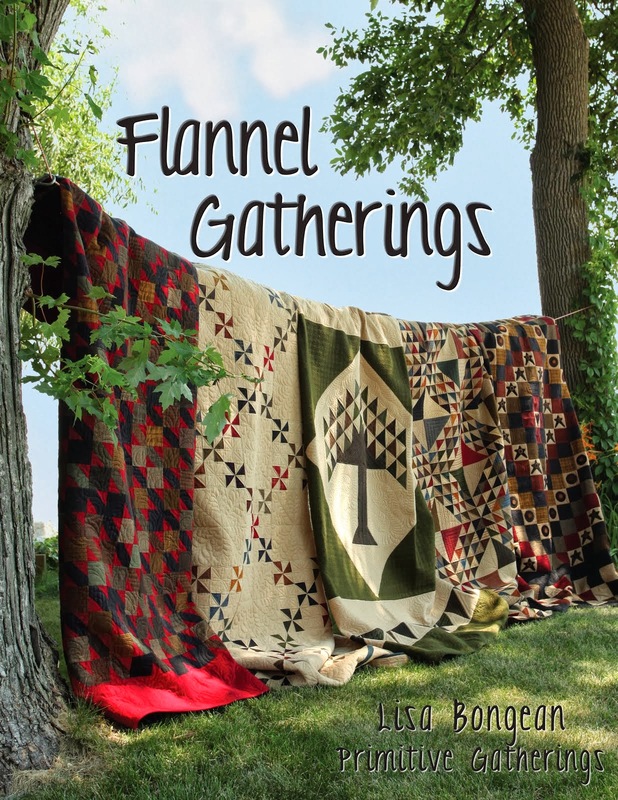 To be honest, I'm usually thinking about the next three quilts I'll be quilting! My mind is always thinking about quilt designs. Sometimes when I'm walking Sarge, I'll start drawing quilting designs in the air with my finger. Yes, I know, I have a slight problem. :-) Whenever I finish a quilt, I usually clean up the studio. A must because I accumulate sooooo much thread on the floor. I have a bit of an Eleanor Burns bad habit of just tossing threads on the floor as I'm quilting. Next, I usually practice a bit between quilt tops. Some times it's just doodles and some times I'm trying out my next quilt pattern I will be quilting. These are some of my doodles. Practicing like this gives me a chance to try some new threads and just relax and play a little. Of course, I always throw some feathers into my practice time. These doodles I tried with stitch regulator off to see how it would look. Not bad. I also finally sewed the binding on Brochante. Love that Schnibbles! I picked up a couple of things at my friend Daphne's shop too. A new Wood Wick candle. These are the best candles. Have you ever tried one? My friend Missy got me hooked a few years ago when she gave me one. They have a wonderful fragrance and the wick crackles like a fireplace when it burns because it's made out of wood. Very cool. Well, it seems I've turned Sarge into a quilter too. 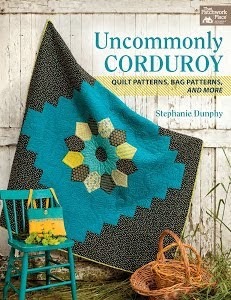 It's quilted!! Happy Dancing everywhere! I was going to post this earlier, but I wanted to wait for the right light to get some nice photos. This is the largest quilt I've quilted so far. It's a large queen. I am very pleased with the outcome. Maybe because there are feathers everywhere!! My client wanted them before I even suggested them. Honest. I think the freehand meandering feather is one of my all time favorite allover patterns. A swirl with a little feather tail in the red border. I really love the back of this quilt!! It's my favorite because of all the texture. It actually made me catch my breath when I first saw the back. I was a little nervous with a solid muslin back because it would show all my little mistakes, but wow, does it show off the quilting!! This could almost be a reversible quilt! The batting is Hobbs wool, which I love too. I did suggest it to my client. She wanted a nice batting as this will be a bed quilt. Melissa, my client did a beautiful job on the piecing. I have a confession, I thought I wasn't doing a good job while I was quilting this. I don't know what was wrong with me?? Just doubting myself. The funny thing is I hardly picked any stitches out of this. That's a first! Now, I stand back in amazement. When I see this quilt, off the frame and all quilted, it reinspires me. It reminds me to take this journey one day at a time and to enjoy it. I have several works in progress, but the one I'm currently working on is a very large client quilt. It's a beautiful quilt top. I have a few sneak pics for you. I'm using a whole lot of thread on this one!! Back soon with the reveal! Last week was one of those weeks where I didn't know if I was coming or going! Just busy with everything. Getting the girls ready for their recital, quilting, gardening, getting the house ready for visitors, graduation open houses....oh and the list goes on. It seems like it'll be a little quieter for about a month...I hope! Flowers are finally starting to look nice. It always takes them a few weeks to take off. This is one of my driveway planters. The flowers finally have blooms again! All the severe weather we had made them lose every single bloom. Looked like a pot of greenery for a while! Garden is starting to take off too. I already have beans and tomatoes. The beans are ready to pick too!! I usually never cook any of the beans we grow. The girls eat them before they ever see the cook top! :-) I have a ton of tomato plants that seeded themselves from last year. I have little tomato plants growing all over my garden. Like 50!! Actually at the base of the bean plant you can see one growing. I planted 6 tomato plants this year, but it looks like I may have a whole lot more!! The girls had their recital Saturday night. It was a long day because the dress rehearsal was that morning. We had to be up super early, so I could do their hair and makeup. We had a few hours to rest and then the show. The girls needed their hair redone because it had fallen out by Saturday night. Thank goodness my sister and her friend were here to help me. They did the girls hair, so I could get ready. My mom was in town from New Mexico for the performance. It was so nice to have her here too. She left for a trip Sunday, but we'll see her again briefly in July. The girls' performance was magical. I enjoyed every second. They danced in two numbers the first half of the show and three in the second. I almost cried during their ballet performance. The looked like angels. Scott and I were just amazed at how they could remember to do 5 different dances!! They didn't seem nervous at all. I was a nervous wreck for them! The award ceremony happens at the end of the recital. The girls were awarded 2 out of 4 dance scholarships given!!! We were so excited!!! It was a complete surprise when their names were announced. Again, I had to choke back tears. The scholarship covers tuition to go to a dance camp. The girls were just thrilled! It was the perfect ending to a perfect evening. I should have some quilting pics to show soon!! I've been absent for a good reason...my Internet service has been absent. We've had trouble with our Internet since the storm over Memorial Day weekend. Our service has been touch and go and we pretty much haven't had it for the last three days. So frustrating because you don't realize how much you rely on it until you don't have it!! Well, I have a really big announcement...I'm an Aunt for the second time!!! :-) Scott's sister, Heather and her husband, Troy just welcomed a new baby girl Monday night! Her name is Evelyn June. So pretty! She will join her 16 month old sister Mayella. I can't wait to see her in person. Not sure when that will be because they live in Southern California. :-( Hopefully, I won't have to wait too long. A new baby means that I need to make a new baby quilt. Yikes, I haven't gotten one made yet. Evelyn's birth kind of snuck up on me. I better get busy with that. I have some Charm Square packs from Bliss laying around here that I could whip up a baby quilt...QUICK! I made a very cute little quilt before Mayella was born. This quilt was my first experience with using Charm Squares. I can't remember the exact size, but it wasn't very big because I only used one Charm Square pack. I really wasn't sure what to expect. I love how it turned out!! From this quilt on, I have loved using Charm Squares. I had a lot of "firsts" with this quilt. It was the first time I used Minky fabric for the backing. So soft and perfect for a baby quilt. I tied this quilt. Another first. I wasn't sure how well the Minky would do for quilting. I would've quilted this on my sewing machine as it was way before Annie's time. I'd love to try in on the longarm. Now is probably a good opportunity! I also did the binding completely on the machine. Now that I don't think I would do again. I didn't love the look. I like to attach the binding to the front by machine and hand sew it to the back. That's definitely my preferred method. I made a cute little label with my Janome 6600 sewing machine. You can see the binding a little closer in this pic. I used a pink Satin for the binding. Another first. Not sure how I feel about that either. Great for baby quilts...ok to work with. Too bad you can't see Heather's cute belly in this pic of us! I better get busy on Evelyn's quilt!!! Lots going on here lately. Seems like there always is this time of year. The girls' dance recital is this Saturday night. I'm so excited! It's so thrilling to see the results of all their hard work on stage. They will be receiving a perfect attendance award too. Frankly, I think the parents should get one too! LOL! Family will be in town this weekend too for the recital. Usually, after the recital, things seem to slow down a bit. I'm looking forward to that! I've been continuing the trend of taking a little time each day to work on my own projects. Even if it's just for a few minutes! I've been wanting to make a quilt out of Jo Morton fabrics for a long time. As soon as I found a pattern that I really wanted to make, I started collecting the fabric. I recently just started working on the blocks. I love the scrappy look already. Does anyone recognize what quilt these blocks belong to? Scrap-Basket Sensations by Kim Brackett. All the quilts in the book are constructed from 2 1/2" strips. I purchased FQs and used the Shop's Sizzix Cutter to cut them all. That went super fast, but then I needed to take all the strips and cut out 480 rectangles!! That is a good job to do while watching a movie! I'm using all the same background fabric, so mine isn't as scrappy as the one from the book that was made by the lovely Darlene. I would say the one tool that has made the construction of these blocks go faster is the Angler 2. If I wasn't using this, I would have to draw a diagonal line on the 240 background rectangles. I love the Angler 2!! One of my latest finishes is a birthday present for a client's son. It's a beautiful tribute to his days as a boy scout and his time in the military. This quilt probably gave me the most trouble on trying to figure out what the quilting should be. There were a few things that became mental hurdles...#1 it's for a man. I probably shouldn't quilt a bunch of pretty feathers on it. You know I wanted to though! Lol! #2 all the borders, including a very large top and bottom border. Well, this is what I came up with. I am very happy with it!! I incorporated a star with a swag design. I love how that came out. In the sashing, quilted a swirl with a design inspired by the fabric. On the center panel, I did a large meandering stipple, but then did some quilting around the motif to make it "pop" more. The back. The backing fabric was perfect for the theme of the quilt. Ellen, my client was thrilled with the quilting!! I am currently sewing on the binding for her and will return the quilt in time for her son's birthday!